Do you have a passion for painting and visual art? Are you looking to develop your own personal visual aesthetic? Do you want to get experience in exhibiting your art? 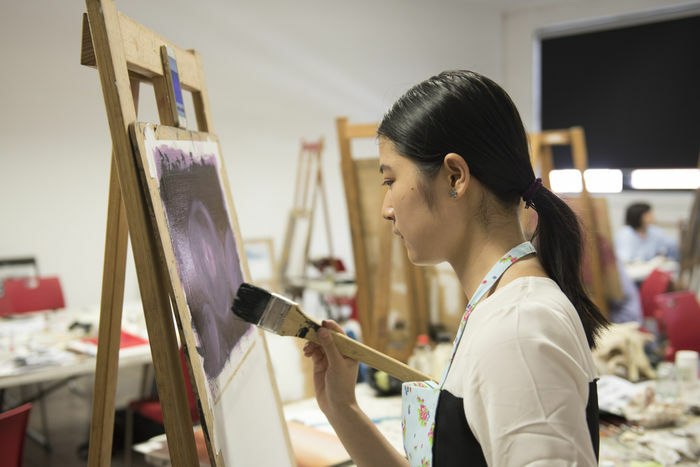 Located in the arts precinct at Southbank, this intensive part-time year-long course is perfect for adults looking for an introduction to the practice and study of fine art. The Visual Art Studio: Painting Techniques course is a ground-up introduction to the fundamentals in painting and its associated contemporary forms. The course will predominantly cover painting in oil and acrylic, and will also explore areas of watercolour and gouache. Pigments, grounds and mediums will be analysed and the course will cover brushing techniques through to finishing and varnishing. A variety of contemporary practices of painting will be explored including wall painting, stencilling, spray and hard edge. Guided by practicing artists and educators, you will harness your passion and your ability to work independently. You will develop fundamental skills and knowledge to explore your own artwork and further explore your own ideas, experience and relationship with contemporary art. The program culminates in an end-of-year exhibition, where students publicly exhibit the artwork they have created. If you are looking to learn new skills and take your interest in painting to the next level, then book now!